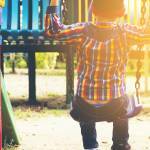 What Are California’s Negligence Laws? The Legal Information Institute at Cornell Law School in New York defines the word “negligence” as the “failure to behave with the level of care that someone of ordinary prudence would have exercised under the same circumstances. Negligence is an action, or a failure to take action, when someone “owes” a legal “duty” to another person. For example, a supermarket’s managers and staff have a duty to maintain safe and hazard-free aisles for their shoppers. A shopper who slips on a spilled liquid that has not been cleaned up quickly and who thus breaks an arm or a leg may have a legitimate negligence claim against the supermarket, which failed its duty to the shopper. This is where our medical malpractice lawyers can help. WHAT MUST BE PROVEN FOR A NEGLIGENCE CLAIM TO SUCCEED? Similarly, drivers “owe” the other drivers on the road a “duty” to drive soberly, and if an intoxicated driver injures you, you will probably have a strong negligence claim. Whenever the result of an accident is an injury, immediate medical attention must be your first concern. After seeing a doctor, seeing a personal injury lawyer should come next. The defendant had a duty to the plaintiff, and the defendant breached that duty. 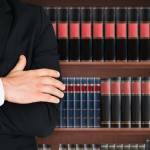 The breach of duty resulted in the plaintiff’s injury or injuries. The defendant should have foreseen the possible result of the breach of duty. The plaintiff suffered actual, quantifiable damages. 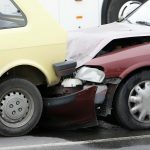 The legal definitions of negligence do not vary much from one state to another, but when the negligence that causes an accident with injuries is “shared” negligence – that is, when both parties in an accident are partly at fault, which is quite common in traffic collisions – the law in California will allow an injury victim/plaintiff to sue for the percentage of damages that are allegedly the responsibility of the defendant. Let’s say, for example, that you are speeding, but not excessively, and you drive as you normally would through a green traffic light. While it’s in the intersection, your vehicle is hit by a vehicle driven by an intoxicated motorist who was exceeding the speed limit egregiously. A jury might decide that because you were speeding, you were 25 percent responsible for your own injury or injuries, but the other driver’s intoxication, excessive speed, and reckless running through a red light make that driver 75 percent responsible for your injury or injuries. Theoretically, that driver should then have to pay for three-quarters of your medical bills, lost wages, and related losses. Everyone has a “duty” to drive carefully and to refrain from putting other persons in harm’s way. In some instances, however, there may be additional specific duties, such as the duty of a business owner, an innkeeper, or a taxicab driver to provide a safe, hazard-free location for conducting business. Professionals such as physicians and attorneys are required to exercise the duties and to maintain the standards of care set by their professions and by their professional licensing boards. When a professional fails to uphold such a standard and an injury is the result, a professional person may be liable for medical or legal malpractice resulting from negligence. 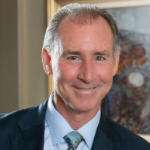 When you file a personal injury lawsuit in Southern California with the help of an experienced Pasadena personal injury attorney, lawyers on each side begin compiling and examining evidence in what is referred to as the “discovery” process. Discovery may include “interrogatories” (with witnesses answering written questions) and “depositions” (with witnesses answering questions in person and under oath). During and after the discovery process, personal injury claims are often settled by the attorneys in out-of-court negotiations. Rarely do personal injury cases actually go to trial. WHAT ARE “DAMAGES” AND HOW ARE DAMAGES DETERMINED? When a personal injury action is successful, the plaintiff receives what the law calls “damages” – compensation for current and future medical bills and for current and future lost wages and lost earning capacity. Damages may also include compensation for current and future physical pain, emotional suffering, and what the law calls the “loss of enjoyment of life.” The precise amount of the damages paid in any particular case will depend on the type and extent of the injury or injuries sustained. Time limits called “statutes of limitations” are set by law to restrict the length of time someone has to take legal action after being injured by negligence. 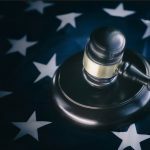 In this state, for most personal injury claims, there is a two-year statute of limitations, and although there are some limited exceptions, you must not wait two years to act. If you are injured by negligence in Southern California, put a Pasadena personal injury attorney on the case at once. The sooner your attorney can review the evidence and talk to the witnesses, the more likely it is that your legal action will prevail. A good California personal injury lawyer will give you frank, impartial legal advice based on years of personal injury experience. In fact, you might receive some advice that you didn’t expect. If you can’t prove your claim, for example, or if a defendant has no insurance or other resources to pay damages with, a personal injury attorney will probably dissuade you from filing a lawsuit. When you’ve been injured by someone else’s negligence, you have a genuine personal injury claim. If you can prove it, and if the defendant is insured or is personally able to pay damages, whether or not to proceed with a lawsuit is still your choice and yours alone. With your attorney’s guidance, you’ll have to weigh the pros and cons of filing a claim. If you are injured by negligence, an experienced personal injury attorney will explain those pros and cons and will help you to understand how California’s complicated negligence laws apply in your own case.